Thank you so much! We love the new truck -- it was exactly what we have been loooking for! You made buying a new vehicle easy and totally stress-free! 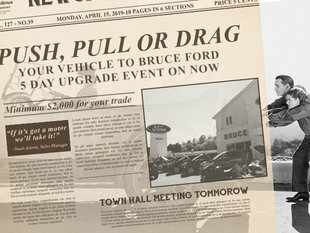 I'd definitely recommend Bruce Ford to anyone looking to buy new or used! Thank you! Excellent service, extremely helpful. Nathan was very knowledgeable when purchasing our new Ford Focus. We certainly appreciated his expertise. Thank you Nathan. We had a very awesome experience at Bruce Ford. 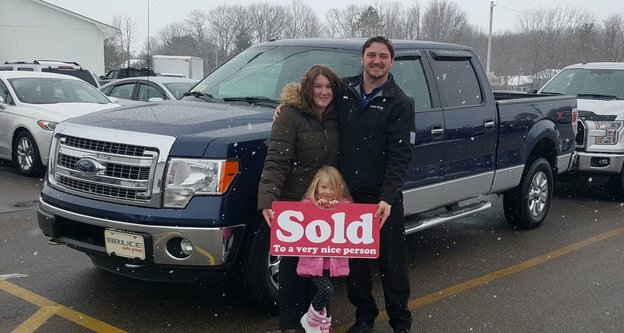 Alain Doucet was a great salesman, very smiley, easy to talk to, and eager to please us. It was overall a 110% experience. We also want to thank Barrett for going above and beyond in trying to get us the better interest rate. You guys are awesome! Always go the extra mile to make me happy!